The beginning of 2019 has been such a delight so far. Not least because we have had the pleasure of working with the fantastic organisation that is St John Cymru once again on their #Defibruary campaign. We had so much fun, we thought we'd tell you all about it and share some wonderful words that the lovely chaps over at the charity had to say about us. Shucks guys, we're blushing! 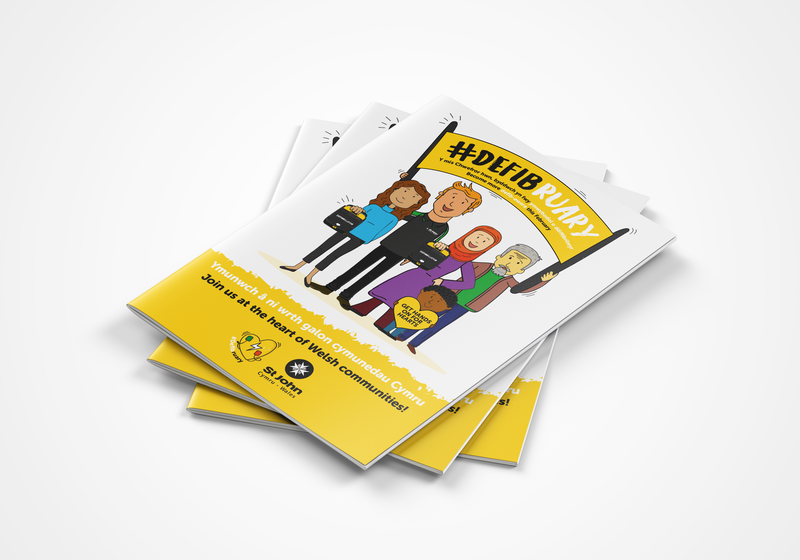 Every year around 8,000 people in Wales experience a sudden cardiac arrest, but if more people knew what to do in an emergency, more lives could be saved! That's why St John Cymru are on a mission to train as many of you as possible on how to use a Defibrillator (it really isn't as hard as you think) and fundraise to get more of them located within the community. Sign up for one of their FREE ‘Public Access Defibrillator Awareness’ training sessions and you’ll gain the knowledge and confidence you’ll need to access and correctly use a public access AED. 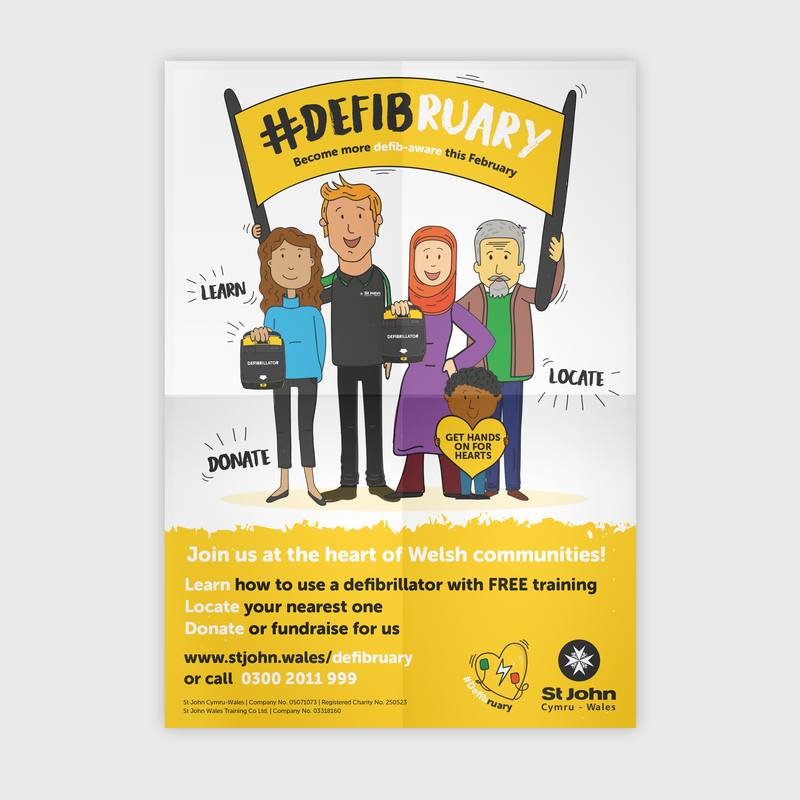 It's been an absolute pleasure working again with Jessica and her team on St John's new #Defibruary campaign. 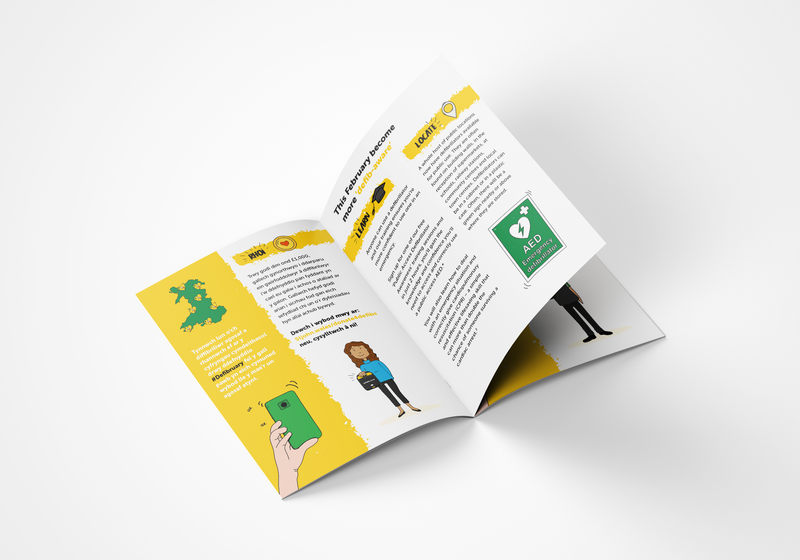 Jessica developed a range of illustrations including characters, typography and icons for materials including posters, booklets, banners and social media graphics for the community engagement project. We’re really pleased with the results following on from our previous 'Save a Life September' training campaign that achieved a record-breaking number of people trained in lifesaving skills throughout the month.